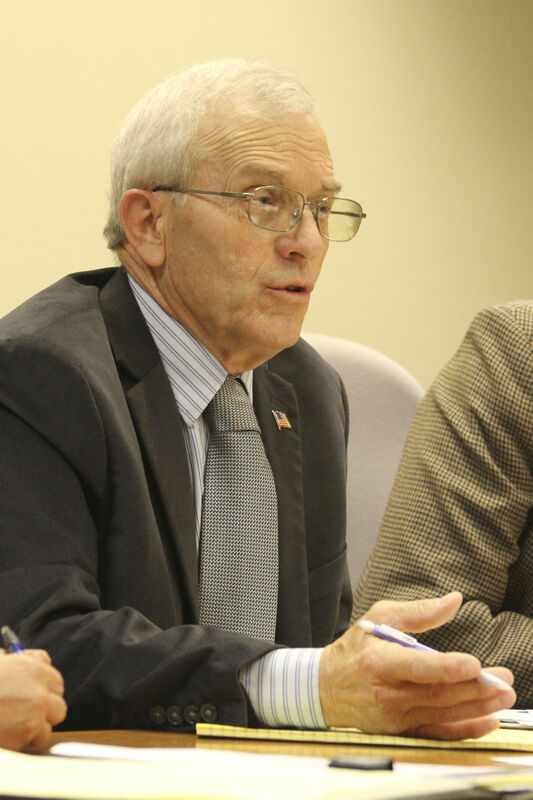 Klamath County Commissioner Tom Mallams says he plans to run for a second term. “I do intend to run,” he said in a phone interview with the Herald and News Monday. “I’ve had lots and lots of people encourage me to run. I have full intentions of running. Mallams has not yet filed for the 2016 election. The primary election is May 17. Mallams holds Position No. 1, which he was elected to in 2012. He was sworn in as commissioner in January 2013, and his term lasts until the end of 2016. Lyncho Ruiz filed to run for that position last Thursday. Calls from the Herald and News to Ruiz have not been returned. Mallams is steadfast in his plans to run, even as a signature-gathering effort for his recall is ongoing. Last week Ilo and Melissa Ferroggiaro filed a recall petition. If they gather 3,426 signatures within the 90-day period a recall election would take place. “I don’t dispute the recall. That’s their right,” Mallams said. The Ferroggiaros, owners of Laughing Lotus Farms, a medical marijuana dispensary, are also pursuing a signature campaign to overturn the county ban on marijuana businesses. Last week all three commissioners voted to approve the ban. He noted those needing medical marijuana will still have access to it at shops within the city of Klamath Falls. The county ban is on unincorporated areas in Klamath County, which includes the South Suburbs. Mallams also sees himself as the target of the Oregon Water Resources Department, which issued orders for him to shut off his irrigation well at his Beatty-area farm this summer. He said in a Sept. 10 Herald and News article he may have broken an “administrative rule” but disagrees he broke the “law.” According to the Oregon Secretary of State’s website, administrative rules have the “force of law” in Oregon. Mallams continued to pump water until Aug. 25, even though the Klamath Project made a call for water on June 16. The Klamath Project has a 1905 water right, while Mallams’ well right is dated to 2001. The OWRD sent groundwater regulation notices on July 3 and sent violation notices to Mallams on Aug 7 and Aug. 28. The second violation notice told Mallams to stop pumping by Aug. 31. Mallams claims by filing a petition for judicial review, he challenged the authority of those notices. Community members supporting the recall effort against Klamath County Commissioner Tom Mallams are organizing a march and rally to be held in next month. According to organizer Bob Daugherty, the event is slated for 10 a.m. to 2 p.m. on Oct. 10. He said participants will rally in front of the Klamath County Government Center. Those who want to march can walk with a group through downtown. Daugherty said recall petitions and petitions to overturn the ban on county marijuana sales will be available to sign. Daugherty said he and other organizers will be available to help residents register to vote.